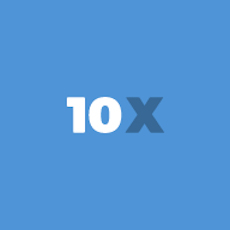 10X offers an innovative social add-on for websites. With a single line of code, 10X is designed to skyrocket your online audience, fuel authentic engagement, and multiply revenue. 10X enables companies to host a social network on their own website with one line of code. With 10X, you can draw in your community with interactive content and an ultra-modern design.Topic based organization means content always reaches the people who are interested in it.